Up the Lake includes stories about quadding, hiking, boating, flying, and survival off the grid in a float cabin on Powell Lake. This is the first book in the Coastal BC Stories series and has a variety of stories about the Powell River region. Up the Main focuses on getting into the Powell River backcountry by bike, quad, and hiking. Come ride along with us on a quad to places like Theodosia Inlet, the head of Powell Lake, and on logging roads and local trails near and far. Up the Winter Trail takes you snowshoeing, hiking, and quadding during the winter months. Powell River is a destination for all seasons. The weather is moderate because of the nearby ocean, but snow blankets the backcountry. Free cabins make great destinations on ATV, showshoes, or crosscountry skiis. Farther Up the Main takes you beyond the original Up the Main to explore the glaciers of Mt. Alfred, the remote Theodosia wilderness, a logging road ride to our cabin, and on an impromptu overnight stay waiting for a summer swollen stream to subside. Farther Up the Lake follows in the footsteps of Wayne's most popular book, Up the Lake. Read about living off the grid in a float cabin, the beauties of Powell Lake and the many different ways you can enjoy the backcountry. Farther Up the Strait takes you on voyages to more remote inlets and anchorages in Desolation Sound and beyond. Did you ever want to put a new engine in your boat? Follow along as our Halcyon Days gets a new lease on life and energy boost. Cabin Number 5 follows John as he constructs a float cabin from the water up. Over the years, when time and money are available, the cabin grows board by board. If you've ever dreamed of living off-the-grid, you'll enjoy Cabin Number 5 (yes, it's the fifth one John's built). Off the Grid is the only book in the series that focuses completely on our off-the-grid lifestyle. We were city-folk when we bought our cabin, but have learned how to generate our own power, use propane for appliances, maintain a kitchen garden, live in harmony with nature, and exchange our hectic lives for a more simple lifestyle. Up the Inlet takes you boating up the secluded inlets of Coastal British Columbia. Follow along as we cruise northward from the Strait of Georgia to Cortes and Quadra Islands, and beyond in a small coastal cruiser. Beyond the Main takes you beyond Up the Main and Farther Up the Main. Now it's time to join Wayne, Margy, John, and ATV Club members as they explore the Powell River backcountry. This book is for off-roaders looking for ideas about where to ride, or you can choose to experience this exciting sport from the comforts of home. 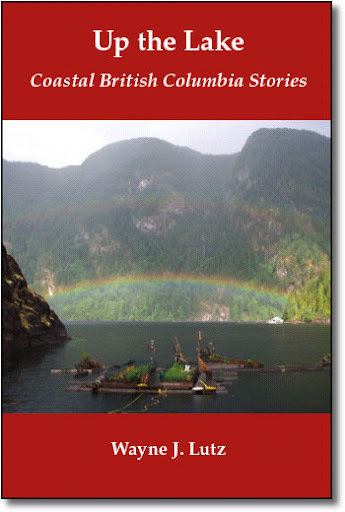 Powell Lake by Barge and Quad is the newest book in the Coastal British Columbia Stories series. Join us for quad adventures to destinations on Powell and Goat Lakes only accessible by boat. Visit unique places where all-terrain vehicles can explore logging roads and trails in one of British Columbia’s most picturesque regions. 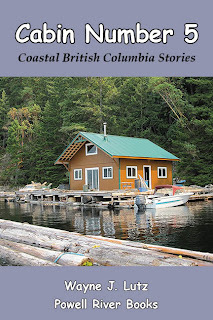 Off the Grid: Getting Started is the newest book in the Coastal BC Stories series. Following titles like Up the Lake, Cabin Number 5 and Off the Grid, this book gives the reader information and tips about going from city life to off the grid. As in previous books, our float cabin home is an example of how we made the move and lifestyle switch.